Dream World is an ideal park for families and children to play and have fun. 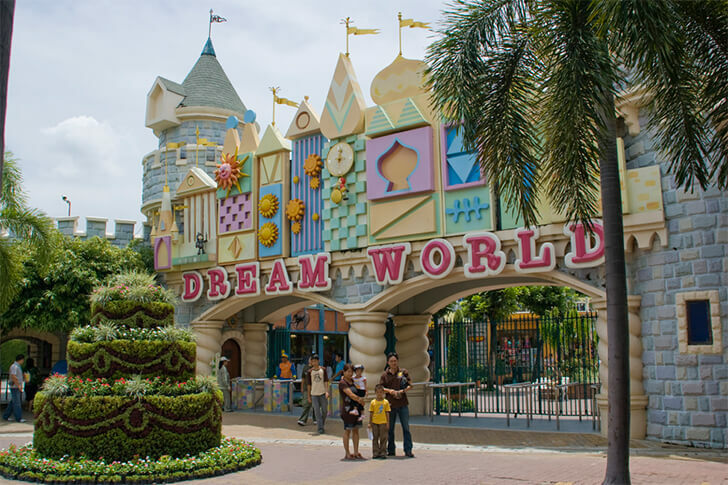 If you are coming to Bangkok with your family, Dream World is a place that you should not ignore. 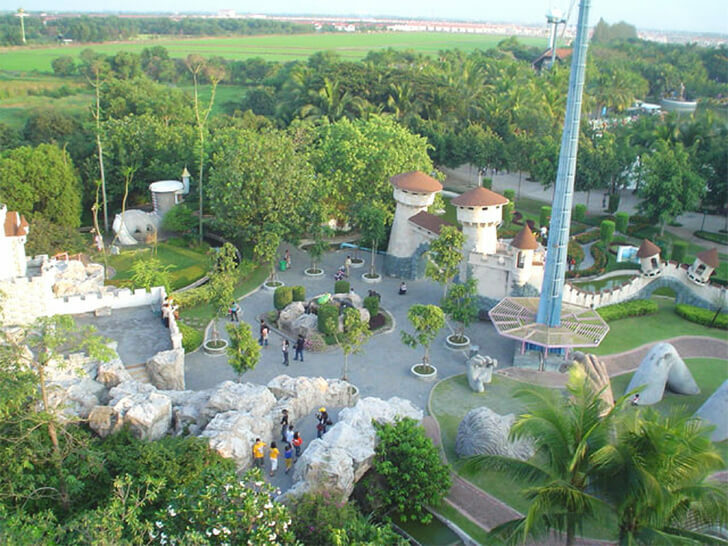 The park is divided into different zones such as the Fantasy Land or Adventure Land. The park is opened from 10 am to 5 pm every day. The ticket price to visit the park is 450 baht or 687 baht including buffet ticket and traveling service. Dream World is near Don Muang Airport. You can take a bus from Morchit Station or Victoria Monument or take a train from Hualamphong Station. The distance from the center of Bangkok to Dream World is from 40km to 50 km. Alternatively, you can take the bus numbered 538 from Victory Monument. 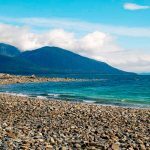 This way is suitable for people who are flexible and have good health. 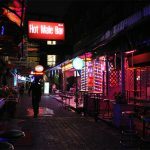 However, if you go with your family with children, then the best way is to use taxi, which costs you from 300 to 400 baht. Playing in the park is extremely interesting if you go with many people. Also, the place is suitable for couples as well. If you choose taxi, you should prepare water, plastic bags. Remember that the taxi will travel very fast and the way will be very long. 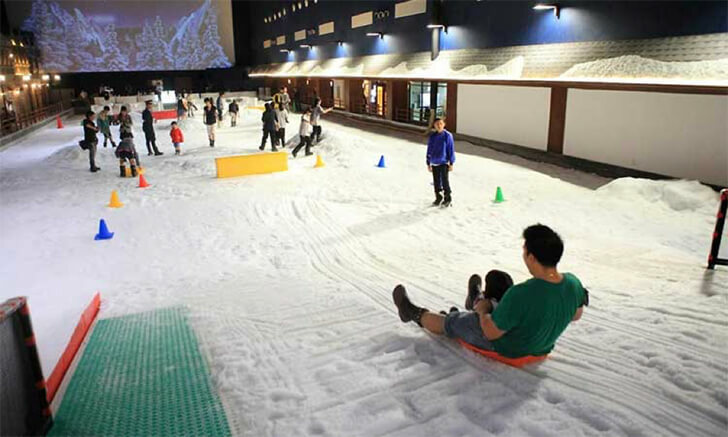 Snow Town is a “must go” place because it has skiing activity and you can take incredible photos there. The temperature is minus 4oC, so you should prepare clothes and gloves for all the members because they will provide only a coat a pair of boots for each people. In the morning, you should go early, the best starting time is 10 am. You can get there, play for about 2 hours and have lunch at Food Pavilion. There are rice, chicken, soup and noodles, which are all common ​food in Thailand, with comfortable seats. “The tour to Dream World was handled on Sunday. I booked the ticket 2 days earlier from Hotels2Thailand. The staffs from the booking site showed up at my hotel at 9 am on Sunday morning, and there were 4 of us to be taken. After that, they gathered at another hotel to serve another 3-member family. The trip started with 7 persons in total, in a van which had 12 seats, very comfortable. Come to the park, I showed the printed booking form but they just did not take it. They just want to clarify which hotel I was in, which tour was taking me and they gave me a number to stick on my shirt. Each group will use only one number. As my observation, all the visitors who booked the tour like me were given numbers, but in different colors, depends on the games they booked. For example, I bought all the games, from the Snow Town to the 4D movie, and my number was green. With the colors, the administration can distinguish the customers”. 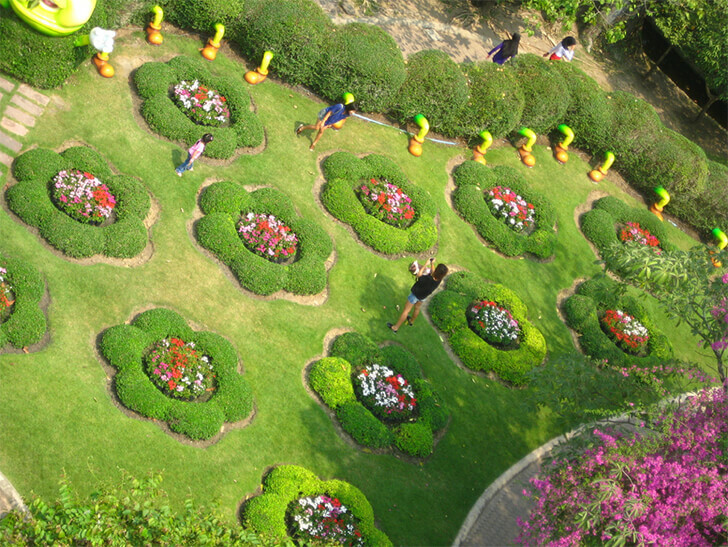 Overall, Dream World is an ideal place in Bangkok for families and couples to spend their time. in dream world have a luggage counter?